Christopher Walken stars in Martin McDonagh's newest black comedy. 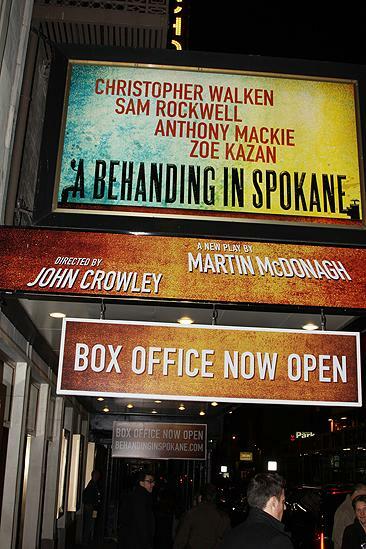 Check out Martin McDonagh’s A Behanding in Spokane at Broadway’s Schoenfeld Theatre! The starry quartet of Christopher Walken, Sam Rockwell, Anthony Mackie and Zoe Kazan open in Martin McDonagh's A Behanding in Spokane at Broadway's Schoenfeld Theatre.